William Kennish’s major achievement was the invention of the Marine theodolite which allowed his “Method for concentrating the Broadside of a Ship Of War...” to be so successfully trialled. 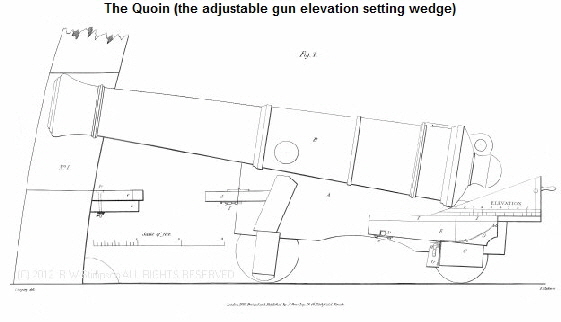 The “Method” also included the breast-pieces and quoins to set the angle of the guns. 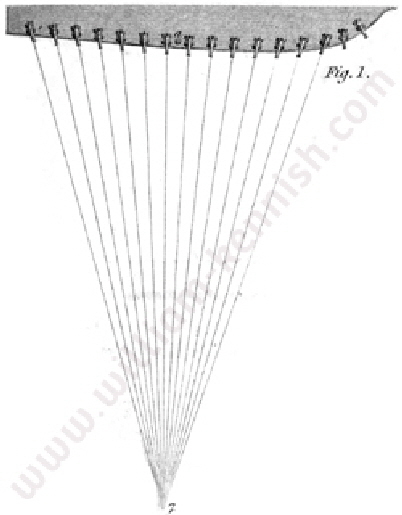 Rotary Hydraulic Motor UK and US patents of 1860 & 1861. 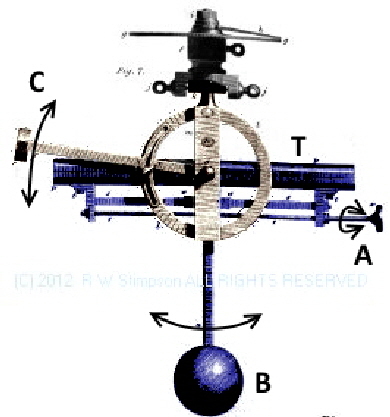 The marine theodolite (above, top of figure) is aligned with the opponent ship’s waterline; the range is then called out and the gunners set the Quoin elevation according to the deck and the range. 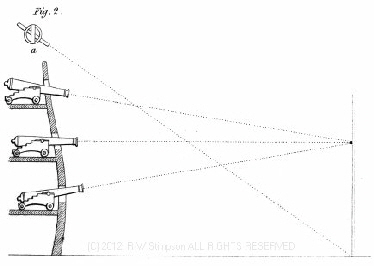 The marine theodolite was mounted on a gimbal and had a counter-weight to ensure the elevation sight will always be accurate irrespective of the roll of the vessel; if the elevation is set as the ship passes through vertical and the same point is used to ring the linked deck bells to signal firing, the range and targeting will be accurately reproduced. The target sighting tube T was adjusted so that the target ship could be seen through it when the counterbalance weight B was located vertically. Adjuster A moved the ball and arm B along it, varying its inclination. Alignment sight C was then lined up with T at the correct position, which would happen every time B became vertical. This would allow the gun commander (typically the captain) to issue range instructions to the guns; they would set breast-pieces and quoins accordingly. When the ship rolled to the vertical position, C would line up with T and the command to fire would be given - pulling sharply on a rope linked to bells positioned on each gun deck. The guns would then issue a salvo directed to a single point. Family history recounts also that William was involved or associated shortly before his death in 1862 with the development of USS Monitor - the first Turreted gun ship. Currently no independent written records have been located to verify this very interesting story!